Hi Johoreans! Get picked up and dropped off in JB City Centre, to/from Mt Austin, Bukit Indah or Permas Jaya for RM5 less till 15 May. Book a GrabCar with your credit/debit card today! Step 1: Download the Grab(MyTeksi) app for FREE from the Google Play Store or App Store and activate your account. This promotion is valid for payment method via Credit/Debit Card only. 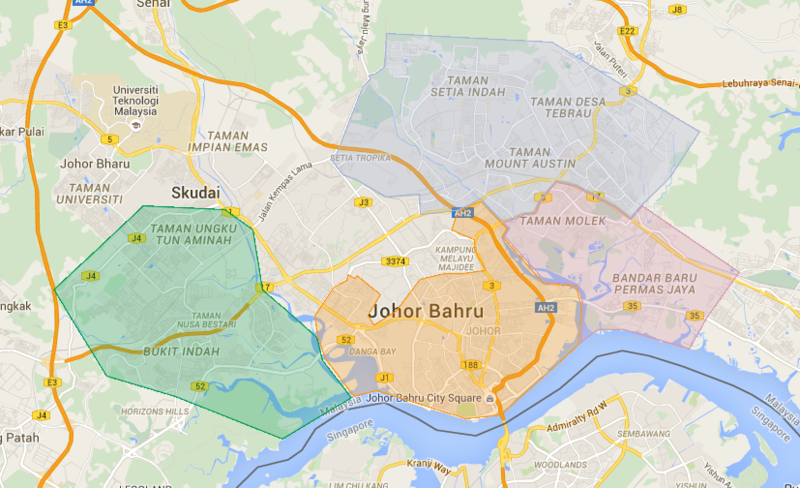 Pick up or Drop-off locations must be in the area of JB City Centre to/from Mt Austin, Bukit Indah or Permas Jaya only. The Campaign will run on 25th April 2016 – 15th May 2016 (“the Campaign Period”). The Organiser reserves the sole and absolute right to alter or end the Campaign at any time prior to the expiry of the Campaign Period without giving any prior notice and no compensation in cash or in kind shall be given. Participants can enter the Campaign by downloading Grab’s mobile application (iOS, Android). Participants are required to include their name, mobile phone number and email address for further communication and verification purposes. Just go to ‘Profile’ to register and activate your Grab(MyTeksi) account. The Organiser reserves the sole and absolute right to disqualify any participant or reject qualifying participants deemed ineligible (be it under these Terms & Conditions or has engaged in a conduct that the Organiser considers inappropriate or unacceptable).